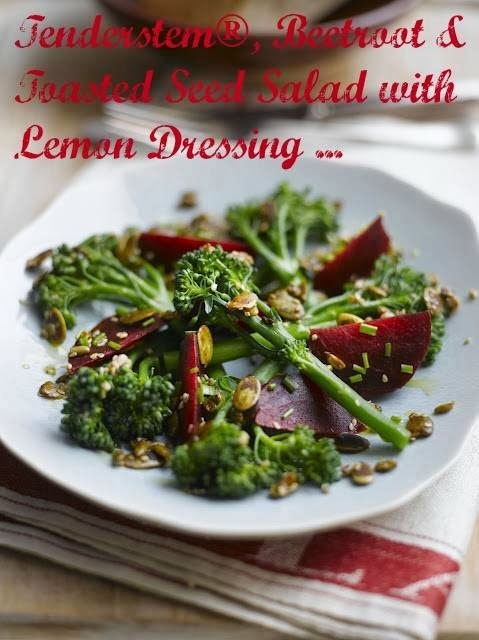 Make the dressing by whisking together the rapeseed oil and lemon juice to taste. Season with freshly ground black pepper and sea salt. Set aside. Steam or boil the Tenderstem® for 3 to 4 minutes until just tender but with a little bite. While the Tenderstem® is cooking toast the seeds by tipping them into a small frying pan. Add Kikkoman Soy Sauce and cook over a medium heat, tossing regularly to coat all over, for about 3 minutes until the seeds are crisp and golden. Take care not to burn them or they will taste bitter. 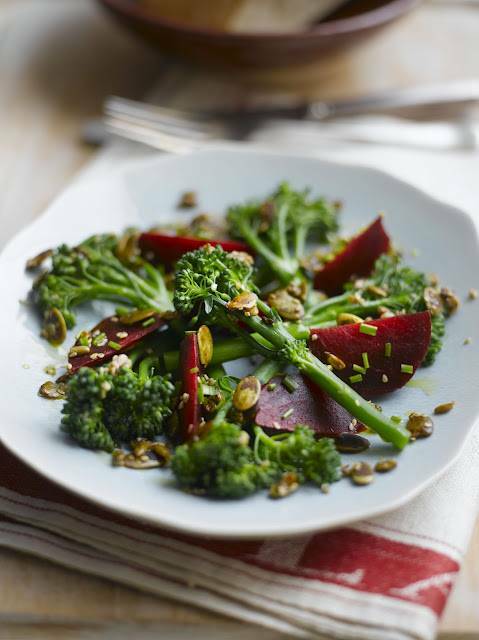 Arrange the cooked Tenderstem® and beetroot wedges on a plate, drizzle over the dressing and sprinkle over the toasted seeds and chives. Warmed Eggnog Or A Hot Buttered Rum?…. Great combo! Love beetroot & it's great for my diet! Trying this recipe ASAP! YUM!